Beef cattle producers are experiencing sustained drought conditions. Many producers have little experience with current situations. Logically, many questions cross a producers mind on a daily basis. 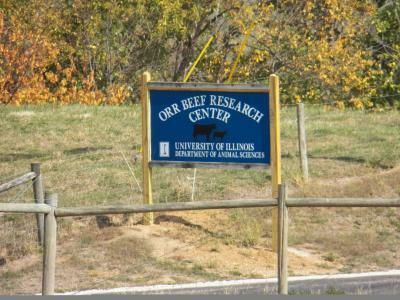 Producers in west-central Illinois have the opportunity to attend the Orr Beef Research Center Field Day. Along with a research update, management decisions this year will be the headline topics. Dr. Dan Shike and Travis Meteer will offer suggestions and strategies to help sustain a cowherd through a drought. Please take advantage of this free-of-charge program hosted by the Orr Beef Research Center.